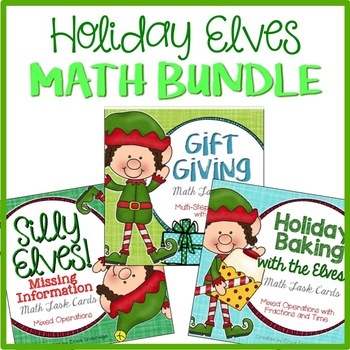 Looking for festive math practice for students in November and December? This bundle includes 3 task cards sets that ask students to solve word problems using a variety of operations. 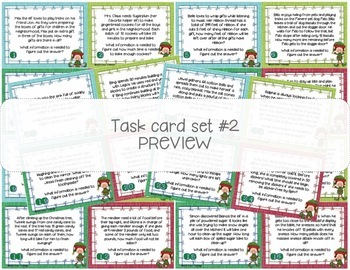 Task Card Set #1: Holiday Baking with the Elves. This set asks students to solve problems including fractions and time. 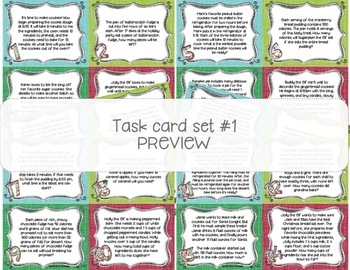 Task Card Set #2: Silly Elves. This set asks students to identify what information is needed in order to solve a problem. 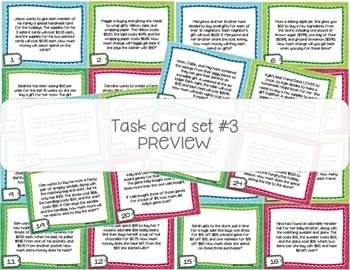 Task Card Set #3: Gift Giving. This set asks students to solve multi-step problems with money. Answer keys and student response pages included. Be sure to "follow me" to receive freebies and to be notified of 50% off new products for the first 48 hours!